Submersed is a PlayStation game developed by Main Loop, an indie development studio from Bilbao, under PlayStation’s Talents Game Camp banner. For two years they have been making games for mobile phones and this is their first foray in the console game business. But what are you actually getting with this survival game? You play as Jack Ballard, paramedic of the Miami maritime rescue service, who flies off to an offshore research facility after responding to a mayday call. Once there, it turns out the researchers in the facility have meddled with an unknown parasite, which has been merged with sharks. 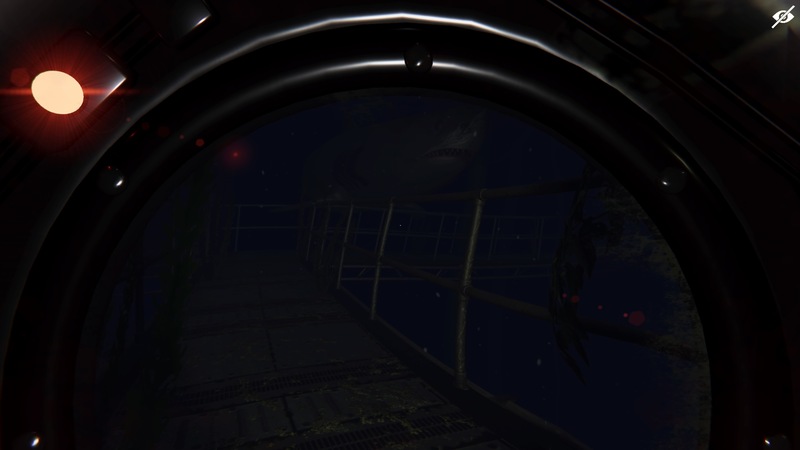 The parasite, which acts as a hive mind, uses the sharks to protect the facility and the main source, having Jack try to escape both the facility and the sharks that are stalking him. The story of Jack is mainly told by him speaking out his thoughts (and so setting the next goal) or talking with people over the radio. What happened in the facility is mainly told via documents, letters and e-mails. An underwater research facility should make for an interesting setting, but the visuals feel bland most of the time. Many of the hallways look the same, as do the several set pieces set underwater. Although the game does make good use of the darkness, it feels as if it is actually used to hide the way it actually looks. Because if you look too closely, you see a game that does not impress graphically. It feels like an indie game that should have been released on the previous generation of consoles. There are times the sound design manages to impress. Whether it’s the creaking of the walls due to the water pressure, or the sound you hear when a shark breaks through some confinement near to you. The voice acting is not great. Lines are spoken with thick accents that do not fit the setting and the few times you are actually speaking with characters face to face, the audio is not synced with the movement of the lips. Then there is the choice of music the developers made for the occasional moments you have to make your way through bits of water in the facility, while trying to hide from the sharks swimming around. Because the moment you enter these areas, an electric guitar riff starts looping, immediately taking you out of the tension these bits should offer. 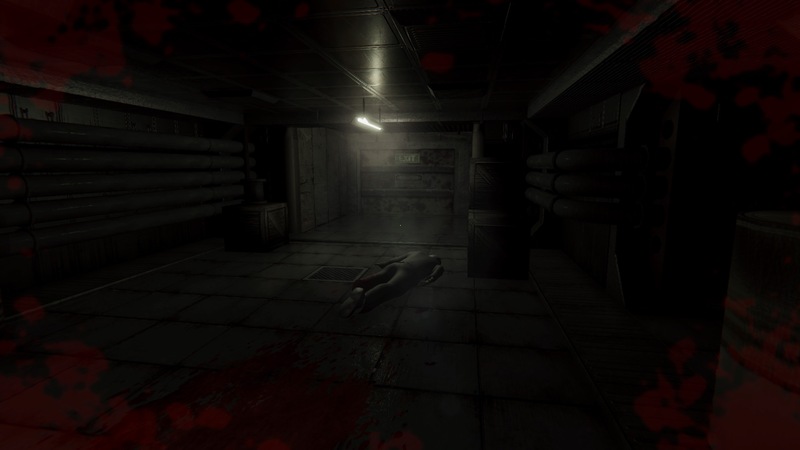 Submersed is a first-person survival/horror game. The game has you finding your way through an underwater facility. Although there is no mini map or clear goals, the game is very linear in you making your way through the facility and the story. 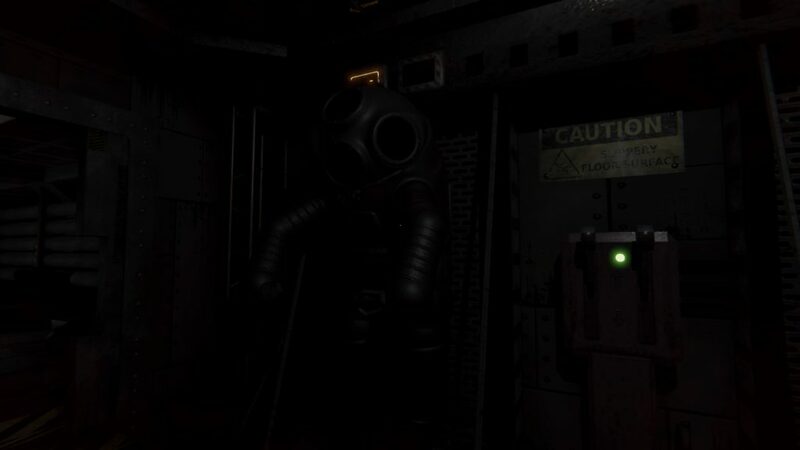 There are both bits set inside the facility, where puzzles and stealth sections are the main items that have to be passed to continue, as bits set outside the facility, mainly taking place underwater and having you find your way from one set of boardwalks to the next. Like some of the best games in this genre, Submersed offers only a limited bag space. This makes it so you have to think twice each time you want to pick up a new item. 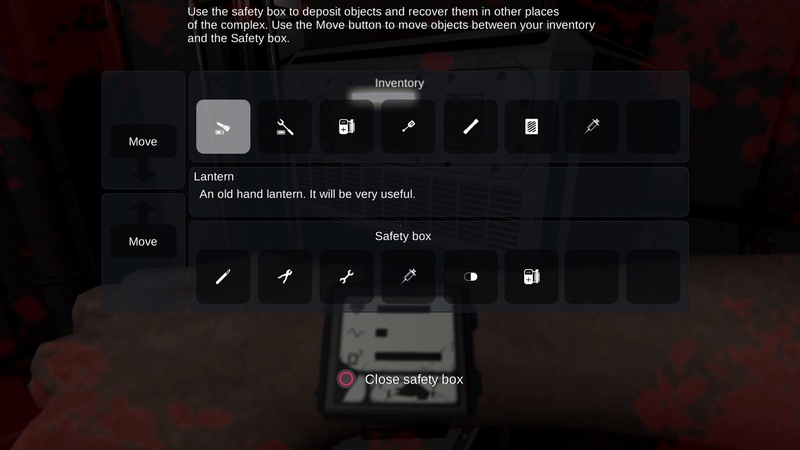 Some items, like tools, are needed to progress, but are more often than not only used once, after which they sit unused most of the time in your inventory. Inventory management is made all the harder because you cannot ditch any items, except in some lockboxes, which are few and far between. Some items can (and have) to be merged. Medicine cannot be used unless combined with a syringe, and tools to distract the sharks can be made by combining a battery with some spool. Besides these tools of distraction, you pick up an electric rod early on. This rod can only be used if you have an electric charge. Each charge can only be used once. This means the rod is more of a last option, than an actual usable weapon. Besides the limited use, it seems to hardly have any effect on the sharks, and more often than not they start nibbling on you when you – manually, via the inventory menu – are reloading your weapon. Usage of the tools of distraction, or the electric rod, feels clunky as well, as the controls are not ideal. The tensest bit of gameplay take place outside of the facility, when you make your way underwater, across some boardwalks, to the next area. When underwater, you are wearing a diving suit. Movement in these suits seems both limited and extra sluggish, which raises the tension. During these sections, you have to make use of the built-in radar, so you can make your way without being eaten by the sharks swimming all around the facility. Several smartly placed pieces of corrugated iron or fenced off stairs offer just enough cover to make your way across. Although the game offers some tense set pieces, especially when set underwater, many design, sound and gameplay options hold it back. This game feels less like being hunted by Jaws, and more like having to sit through the umpteenth rebroadcast of Deep Blue Sea.